Microscope sales. 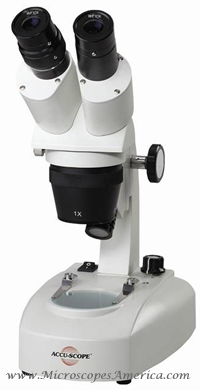 Affordable stereo microscopes with free shipping! Dependable, versatile and compact the 3050 stereo microscope series provides superior optical performance at an affordable price. Incorporating many professional features in a student-proof design, the 3050 series offers tremendous value for schools and hobbyists alike. The 3050 series is available with a binocular viewing head that is locked-in to prevent classroom tampering. An optional eyepiece camera is available for digital imaging purposes. 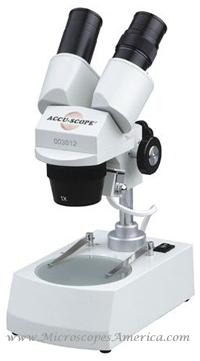 Setting a new standard for quality, versatility and performance in a compact stereo microscope ACCU-SCOPE’s 3055 Series offers educators and industry an exceptional value at an affordable price. Combining sharp, crisp optics with variable halogen illuminators the 3055 Stereo Microscope Series provides users with many professional features for use in classroom applications or light industrial inspections. The 3055 series is available with a binocular viewing head that is rotatable, but locked-in to prevent classroom tampering. An optional eyepiece camera is available for digital imaging purposes. 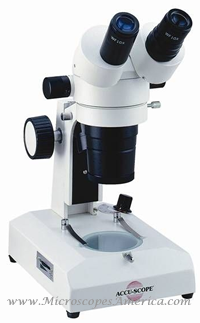 Advanced, modular design incorporating many professional features the 3069 stereo microscope series is ideal for industrial applications, classrooms and hobbyists. Longer working distance, enhanced illumination and widefield eyepieces make the 3069 series easy to use for classroom dissection or industrial inspections. A modular design allows the 3069 series to be configured on a transmitted & incident dovetail stand, boom stand, flex-arm stand or pole stand in binocular configurations. Optional accessories are available for digital imaging, video monitoring and darkfield.